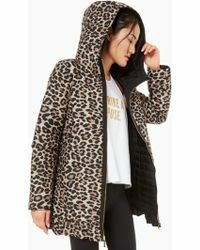 Statement shades, graphic prints, tongue-in-cheeck slogans 'Kate Spade New York is all about playful sophistication. 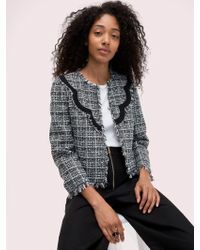 Combining a love of structure and a penchant for ladylike cuts with kitsch details, the US label continues to be one of the world's most recognizable and loved. 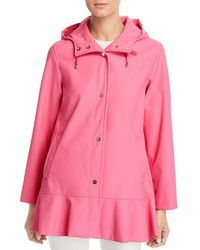 Founded by former accessories editor, Kate Brosnahan Spade in 1993, Kate Spade now offers a wide range of collections ranging from bags, clothings, accessories, jewelry, shoes and tech covers. 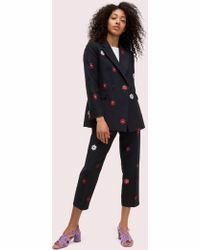 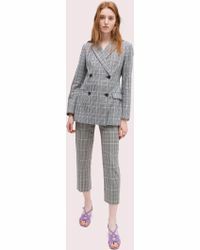 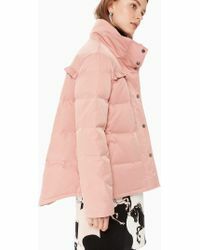 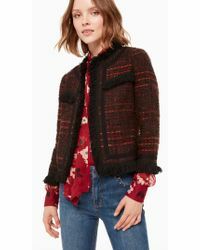 This selection of women's Kate Spade jackets showcases the versatility of the label's design team with casual but chic denim, blazers and coats alongside opulent occasion-worthy pieces, perfect for jazzing up you demure little black dress.